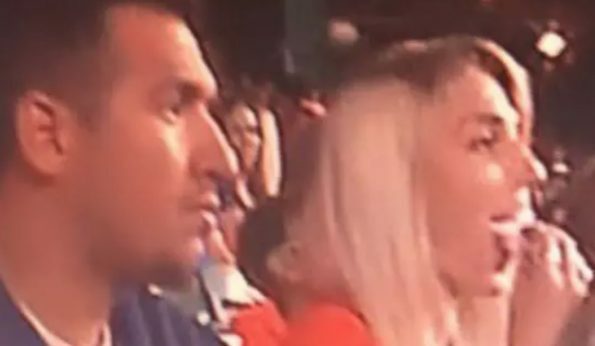 When you play with fire, there’s a good chance you’re going to get burned…like this guy was when he went to last night’s Astros-A’s game with a woman who wasn’t his wife. 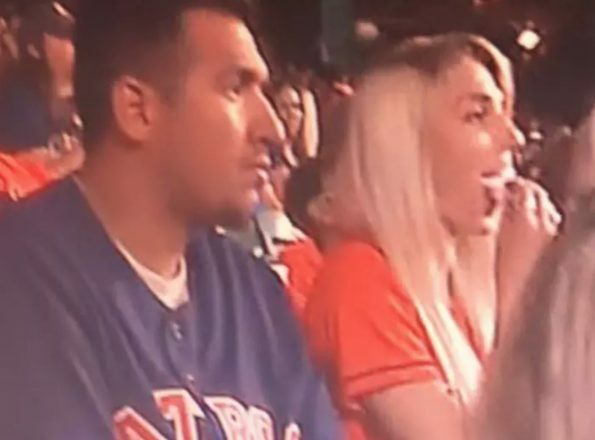 Yes, you can make a case that the male and female in the first photo are only seated next to each other and may not know one another, but the second photo makes it pretty obvious that the couple in the Astros jerseys are definitely a couple. Good luck digging yourself out of this hole, buddy.